2. Do you have gift registry decals on your door? Ask Bridge for free decals. 3. 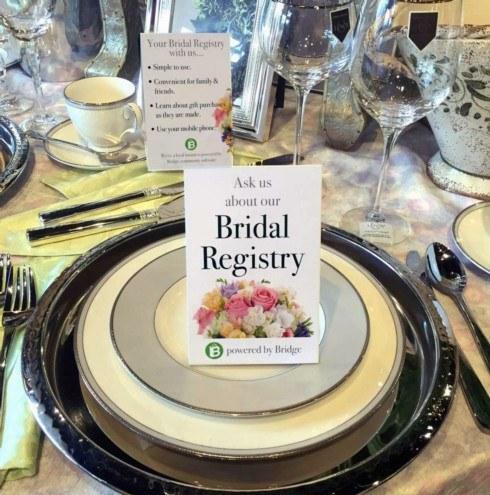 Do you have registry table tents on display in your store? Ask Bridge for free table tents. 4. If you hear about customers getting engaged, are you asking them to register at your store? 5. Have you e-mailed your customers reminding them that your store offers a gift registry? Bridge will be offering registry training sessions this spring. Keep an eye out for the announcement.